"I look forward to your posts. Most other bloggers are boring as hell - either rant about frummies or some other crap. You're different. Sometimes ehem, slightly ditzy - but otherwise an entertaining read." "Your blog is definitely my favorite out there in the blogosphere." "You keep me up all night, and it's not even sexual." "[Material Maidel] keep(s) the articles insightful, entertaining, and short. And always ha(s) a mix of posts." "[Material Maidel is] the first blog I've read that takes issues most people feel strongly about, and rather than bash society for the way we are, like most do, presenting certain situations and issues in a more entertaining light gets the criticism out there in a non-critical way." I know this is really unlike me to post about a product, and NO the company is not paying for this mention. But I just wanted to say that if you're also a married girl with some minis and no time to cook dinner on a Thursday night, this pizza is a life-saver. 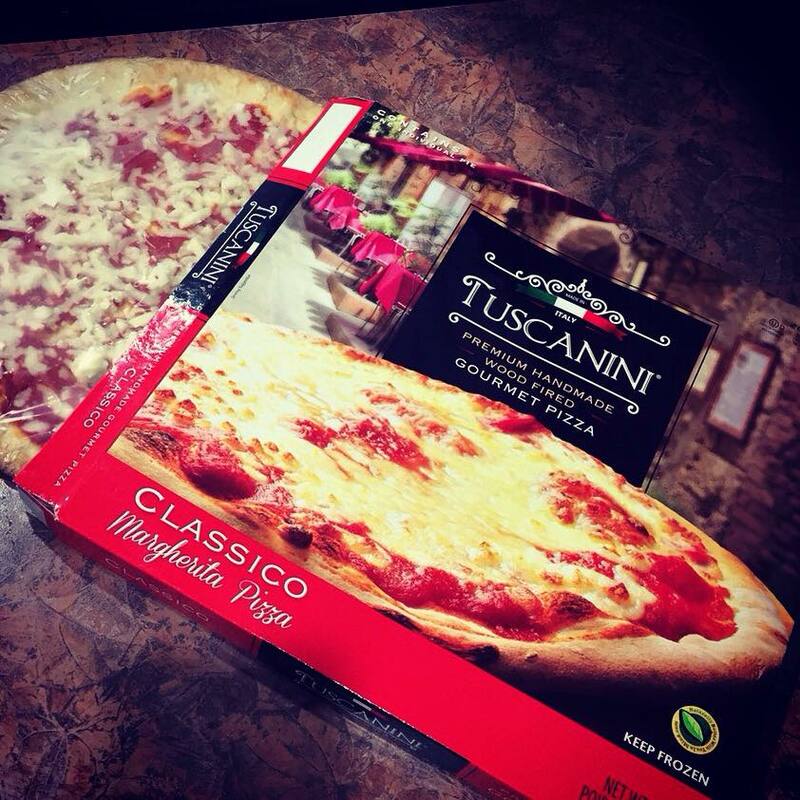 If you're at the grocery store, pick up a couple of boxes of Tuscanini Premium Handmade Pizza in the frozen foods section. I recently bought a few on sale at my local kosher supermarket and I'm IN LOVE. My fave was the Four Cheese Pizza. They've also got Classic Margherita, Mushroom and Grilled Veggie.You just let the pizza defrost on the counter while you pre-heat your oven to 425, then bake it for about 10 minutes. Each pie isn't huge - but it's enough for me and the hubs and maybe one of minis, or all the minis if I serve it with fries and a salad. Ok enough talk. Go buy this pizza. It's actually from Italy! Please check out my blog and share it with your family and friends.